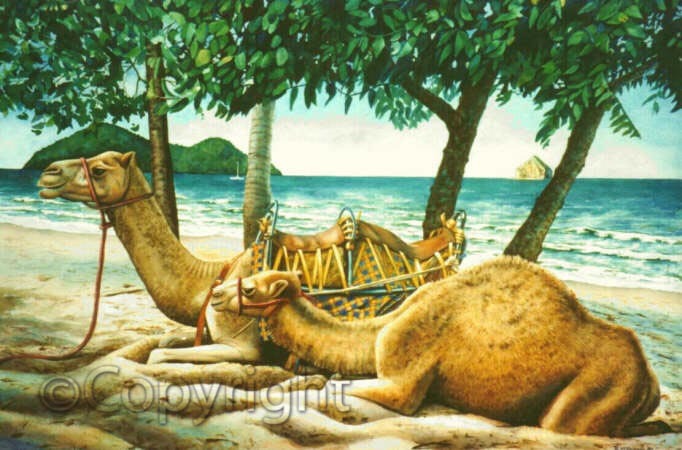 These camels were a familiar sight on Palm Cove beach once. Tourists, and maybe some locals, would pay to ride them up and down the beach. I actually sold the painting to a Canadian who'd just been to the outback on a camel trek and wanted to take a painting of camels (any camels) back to Canada with him.